Choose from 11 championship-style golf courses. 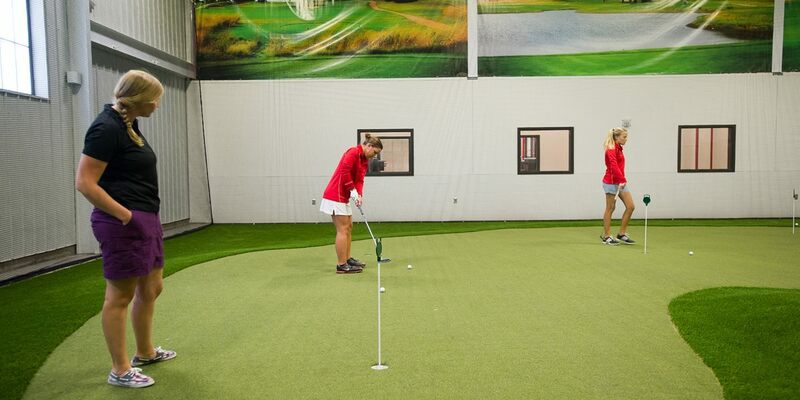 Practice on a driving range with instant feedback. Explore the competition model with various golf games and challenges. The Juffer Athletic Fieldhouse is closed during the summer. Hours vary during college breaks and athletic seasons. See Facebook.com/jufferfieldhouse. Reserve your tee time by calling 712-707-7400 when the Juffer Athletic Fieldhouse is open. Walk-ins are welcome on a first-come, first-served basis, but those with reservations will be given priority. Payment for an individual tee time or the more convenient—and cost-efficient—punch pass can be made at the Juffer Fieldhouse Welcome Desk.